When you come to think about it, “white” wine is a curious misnomer. Milk is white and so are Malibu bottles but white wine is transparent. Hardly any white wines are completely colourless. They come in different shades of straw, yellow, sometimes with a greenish tinge, sometimes bright gold. One of the most important features to look out for in white wine is freshness. It makes it an ideal welcome drink at parties and celebrations, because a fresh dry white is a wonderful stimulant for the appetite. 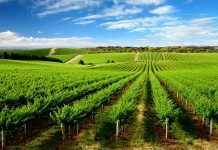 White wine has been around for at least 2,500 years and there’s a staggering variety of different types; the result of different climates, different grapes and methods of winemaking. White wine is usually made from white grapes. Of course, they’re not white either but usually green, yellow or somewhere in between. Any grapes can be used to make white wine, even red grapes. 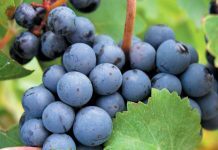 The red Pinot Noir grape, for example is sometimes used to produce Champagne. The juice of the grape is virtually colourless and any colour in your glass comes entirely from the grape-skins. Although there are thousands of grape varieties, only about 150 tried-and-tested varieties are used to make white wine. If we narrow it down even further, there are only a handful of varieties that are considered white wine classics. These are Chardonnay, Sauvignon Blanc, Semillon and Riesling and they produce some of the finest white wines anywhere. Oh, and before I forget, white wines – including fino sherry – always taste better when they’re served cold. If they’re too warm, they feel flabby and lose their freshness. During the 1980s, Soave was one of the biggest sellers in America and tremendously popular in Britain. In those days, it was usually pretty basic stuff, not much fruit but crisp, firm and refreshing and perfect to accompany dinner on a warm summer’s evening. 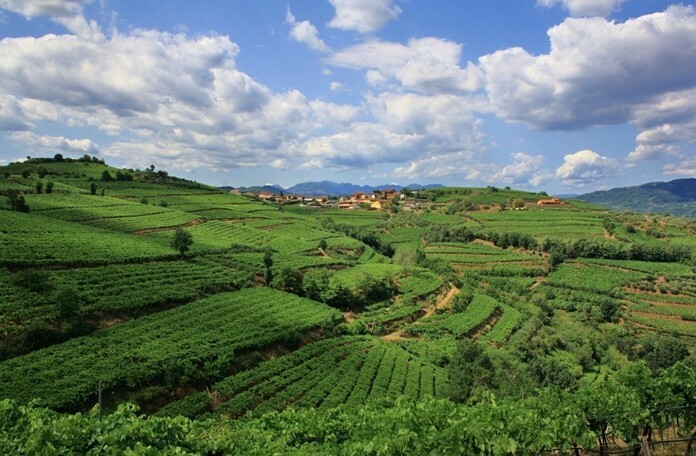 You might be surprised to know that Soave is neither a grape variety nor a style of wine. It’s a place. To be more precise, it’s a small town enclosed by medieval walls in northern Italy. It’s just off the A4 expressway that runs between Verona and Venice and the grapes come from vineyards in the countryside around the town. They’ve been making wine there since Roman times. 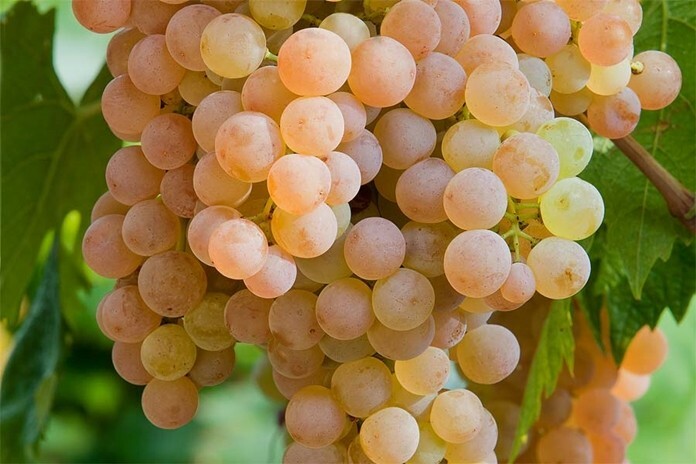 Soave (SWAH-vay) is made mostly from Gargenega grapes which are grown all over Italy though with Soave the regulations permit a small percentage of Verdicchio or Chardonnay. 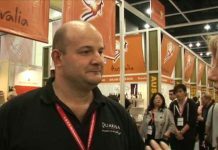 This wine is a golden-yellow colour with an attractive, slightly oily appearance. It has a gentle fruity aroma, with honey, mandarin and peach and I wouldn’t mind betting that there’s a generous dollop of Chardonnay in there. You’ll need to swirl the wine around in the glass to release the aromas, otherwise they will be reluctant to appear. This is why a large wine glass is best because when it’s a third full, you can swirl the wine around in the confident knowledge that it won’t fly out all over your clothes. The taste comes as a pleasant surprise for despite the soft and beguiling aroma, this little number hits the palate with assertiveness. This is no shrinking violet, but a wine which makes you sit up and take notice. You’ll probably notice the finely balanced acidity first, a lovely refreshing zesty taste with a dash of citrus. The mouth-feel is smooth and satisfying and the taste lingers on in the mouth long after the wine has been swallowed. This is known as the “finish” and a long one is the sign of a well-crafted wine. This would make a terrific aperitif to drink before dinner, if you can still afford such indulgences. It would make an excellent partner for something like chicken fillets in a light mushroom sauce. You can buy this wine online and have it delivered. 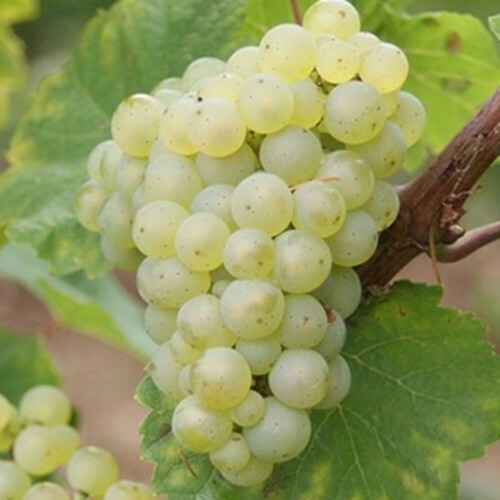 Riesling (REEZ-ling) is one of the classic white grapes and has been cultivated in Germany since the fifteenth century. Note the pronunciation, by the way. If I catch you calling it RIZE-ling, you’ll be poked with a pointed stick. Some writers claim that Riesling produces the most spectacular white wines in the world. These super-star examples come from either the Alsace region of France or the Mosel and Rhine areas of Germany. With a few notable and expensive exceptions, Riesling is completely dry. This Australian example is a bright, light gold with hints of green. There’s a delicate and sweetish floral aroma of ripe peaches, oranges and a note of herbs. Instead of oak barrels, stainless steel was used to preserve the freshness of the wine. The taste is as dry as the proverbial bone, with a very smooth mouth-feel. There’s also a fair amount of acidity too, giving the wine a kind of refreshing quality that wine experts like to describe as “racy”. With a long, citrusy dry finish, this would be terrific with fish and seafood and would partner the tangy Asian flavors of ginger and lime. It could match many spicy Thai or Indian dishes too. If your previous encounters with Riesling were with those awful sweetish mass-produced German Rieslings of the 1960s and 70s, you are in for a surprise with this one. You can buy it online or from the Villa branches in town.